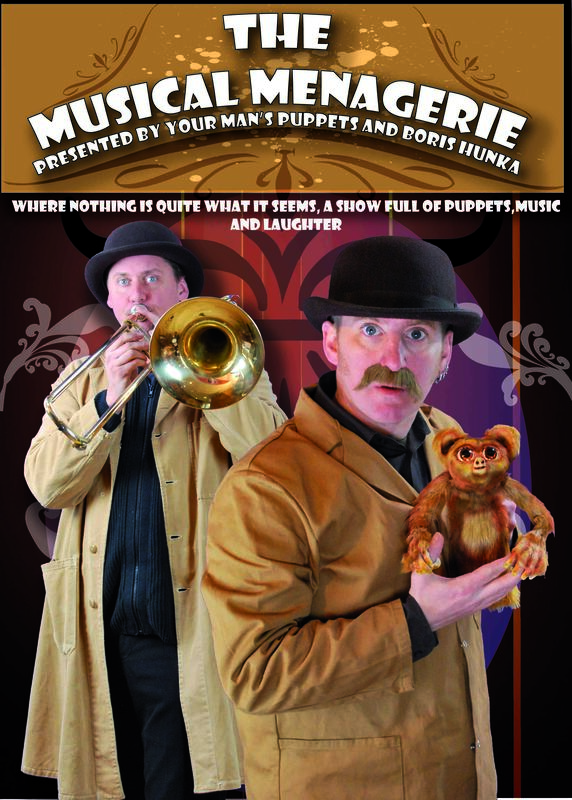 This show combines the musical imagination of Boris Hunka, (multi-instrumentalist, improviser and composer) with the skills of renowned puppeteer and actor Thomas Baker. The result is a magical blend of entertainment, education and escapism. It’s the story of two zoo-keepers reminiscing about their first days in the job and a tall tale about a gibbon that lost his tail, while meeting exotic animals from far and wide, including Sheridan the sloth, Imelda the rhino hornbill, Kevin the snake and Gilbert – the gibbon who’s lost his groove. The magical musical is told with all original songs, which include “I’m a Lean Mean Sleeping Machine”, “What Did the Dodo Do Do2” and “The Rainforest Jive” to name but a few.